So you’re in the process of coming up with an ideal car sound system? Matching subs to amps is a crucial step in building a powerful audio system for your vehicle. Both amplifiers and subwoofers are vital components of an excellent audio system. A subwoofer operates as a speaker the reproduces a low-base sound while amplifiers boosts increases the sound signal thus increasing volume. The secret to getting a great bass is ensuring that your am and the subwoofers are evenly matched to work properly. This guide will assist you to figure out how to do that enjoy quality sound. We’ll approach the issue from both sides of the system that is covering the basics of power matching, the number of subs you require and impedance. i) How Much power do you need? Sub-woofers usually feature two power handling specifications; Root Mean Square (RMS) watts which is also referred to as continuous power handling and peak power handling (peak watts). A sub-woofer's RMS rating is an indication of the amount of power it is capable of handling on a regular basis. The peak wattage on the other hand, specifies the maximum power amount that the woofer is capable of withstanding without damages. ​For best quality sound, always match the RMS watts to that of the amp. Today, most power amps in the market indicates the RMS watt ranges thus specifying the maximum and minimum power ranges that can be produced by the amp. Once you’ve determined the wattage range of the amp, ensure that the subwoofer’s RMS watt power is 75% minimum and 150% maximum. Calculate the “watts RMS” rating of your subwoofer and then multiply the number of subwoofers by the RMS rating of each of them. This gives you the total RMS rating for all of the subs. This will guarantee you that the amp you choose can supply 75%-150% of the total RMS rating for your sub. ​Another important factor to consider when matching sub-woofers to amps is impedance. Impedance refers to the measure of electrical resistance. Most typical sub-woofers you’ll find in the market today offers you the option of choosing between 2 ohms or 4 ohms rating. Matching impedance tends to be a simple concept, especially when you’re installing just or two subs. 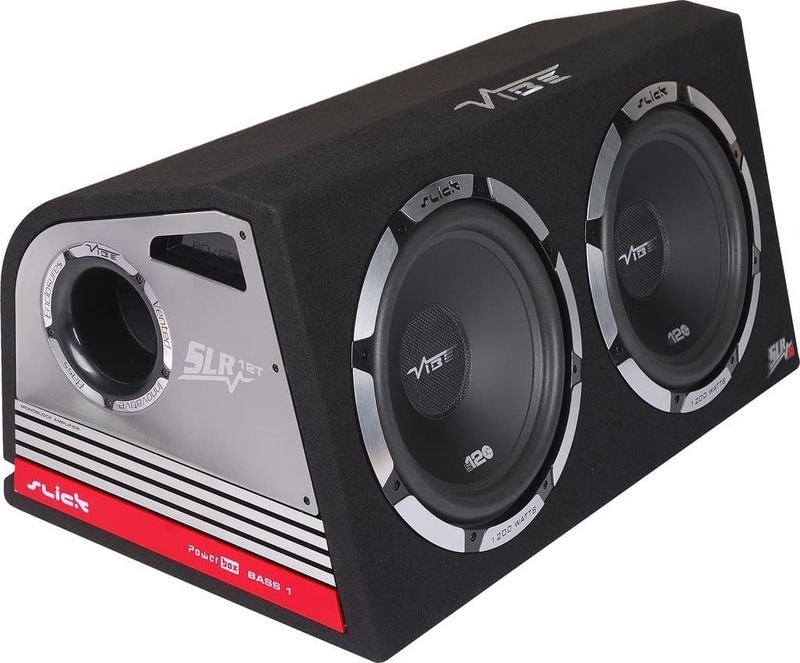 However, things gets complicated when the connection involves multiple sub-woofers or dual-voice coil (DVC) sub-woofers featuring 2 input and input connections. For instance, 2 sub-woofers with 4 ohms each needs an amp with 8-ohm impedance rating. When choosing sub-woofers, you can select between single voice coil and dual voice coils. Single voice coils features one set of terminals whereas dual voice coils (DVC) has two sets of terminals. The advantage of dual voice coils is that it offers you more wiring options compared to single voice coils. Another advantage is that dual voice coils are designed for greater performance and power handling. When it comes to the amplifier, the most important thing to look for is the amount of power required for your subs. Once you’ve settled on the number amount of power you require, then you can go ahead and select the best amp. There are two main amp styles available for most bass systems; mono (single-channel amp) and 2-channel amp. Always keep in mind that single-channel (mono) amps are the best for producing awesome base sound. They are capable of processing a single audio signal using just a single channel wired to the sub for that great bass. You can wire several subs to a mono channel amplifier and each of the subwoofers will receive the same frequency. To get the best track of bug bass, you need to consider the following four combinations of subs and the right amplifier to use. A single sub-system is mostly preferred due to its simplicity, cheap price and compatibility. One single 4-ohm is the perfect match for a 2-channel amplifier. You’ll get pretty lots of power a relatively cheaper cost by bridging the amp’s output. With tow voice coils, DVC subs offers you multiple ways of hooking them up hence wiring flexibility. Another advantage of using one DVC are the power handling and performance. As stated earlier, dual voice coils, in most cases are designed for heavy-duty power handling and has great compactness. One 4-ohm dual voice coil (DVC) sub are perfect match for mono sub amp. Why? Because mono amplifiers are built to offer more power at lower impedance of even 2 ohms. You can present a 2 ohm impedance through parallel wiring of voice coils and get maximum power output. Having two subs makes much sense for those looking for a pretty bigger base. With tow sub-woofers, you can really move lots of sound in the air. The perfect match for this kind of set up is a mono sub amp. When you wire the two subs in parallel connection, you present a 2-ohm impedance to the amp. Mono amps are ideal for such situations as you’ll get the maximum power from your amp. Two 4-ohm dual voice coils subs offers a great wiring flexibility. You get various ways of hooking up the combination to acquire that bass you’ve been looking for. A 2-channel amp would suffice this combination. When you wire the subs with a bridged 2-channel amp, the total impedance presented is 4-0hms. Although it’s easy to find a complete set of the best sub-woofer's and amplifiers, most people prefers buying them separately. Combining a sub-woofer to an amplifier for the best results for your vehicle’s sound system can only be achieved by matching the basic components. You need to take the specifications of your amp and sub into consideration to ensure a perfect combination for excellent results. A high- end amplifier needs to be a single-channel unit. Amplifiers are used to boost or strengthen the woofer sound signals. When buying a sub-woofer, always consider its frequency response and sensitivity. For more clearer and loud sound, ensure the impedance and power handling capabilities of the amp and the sub are closely matched as possible. Furthermore, close matching of amp’ and sub’s power handling capabilities ensures safe operation of your devices by reducing overheating risks.